The BA/Leverhulme-funded research project on Literary Interactions under Nerva, Trajan and Hadrian (LINTH for short) is about to enter its third year. The last two have generated a wealth of exciting exchanges between participants, and this third year promises to expand the project’s horizons yet further. LINTH brings together researchers with an interest in Nervan, Trajanic and Hadrianic literature to examine the ‘interactions’ between authors and texts of the period collectively. By exploring the nature and impact of their many different ‘cross-pollinations’ (within and across genres, and between both Latin and Greek traditions), we aim to develop understanding not just of individual texts but also of the literary cultures in which they were produced. In the process, contributors are interrogating different models of ‘intertetxuality’ (from salutation, citation, echo and allusion to reworking, correcting, omission and exclusion); and we are also exploring interactions between ‘literary’ and less ‘literary’ material (for example, edicts, imperial letters and the writings of jurists). Many of the authors under consideration engaged with each other personally, socially and politically too, and one aspect of the project is concerned with the interface between these various literary, personal, social and political interactions – a feature that brings the literary and historical study of the period into closer dialogue with each other, shedding new light on both. The project was launched at a workshop in St Andrews in January 2013. Since then, there have been two international conferences, in St Andrews in June 2013 and in Rostock in June 2014, which have taken the project forward in all sorts of new directions. Speakers at both covered a huge range of texts (including works by Martial, Pliny the Younger, Tacitus, Frontinus, Juvenal, Suetonius, Plutarch, Dio Chrysostom, Arrian and Appian), and raised questions about gaps in dialogue, avoidance and occlusion, common ‘elements in the ether’ and ‘extra-textuality’, at the same time as interrogating direct and indirect authorial/textual interactions. Cross-pollination between Flavian, post-Flavian and later periods was discussed; and overlaps (and disjunctions) between cultural and literary interactions/dialogue were also considered. Such themes have also been the subject of a number of working papers, which continue to be published monthly on the LINTH project website. Workshop and conference proceedings, conference-paper synopses and article abstracts are also being published here. Participants are collaborating to build an archive of modern scholarship and ancient references, which will support research during the course of the project and be of use to others beyond it. The main output of the project will be a pair of peer-reviewed edited volumes, each containing a balanced and interlocking set of articles by invited contributors. The first of these, provisionally entitled Literary Interactions under Nervan, Trajan and Hadrian: vol. 1, is in production and due to be published in 2016. It aims to build on the work of the project’s first two conferences and will have a primarily Latin focus. The second edited volume will follow the project’s Boston conference (to be held in June 2015), and will focus particularly on the challenges of reading across Greek and Roman authors (and cultures), with some emphasis also on interactions between Greco-Roman, Jewish and Christian writing and reading practices. It will thus expand the focus of volume 1 by branching out to consider a wider spread of texts and questions. LINTH is a project which continues to gain momentum – and participants – with every event. It has generated a huge amount of scholarly enthusiasm, which itself is fuelling further plans. 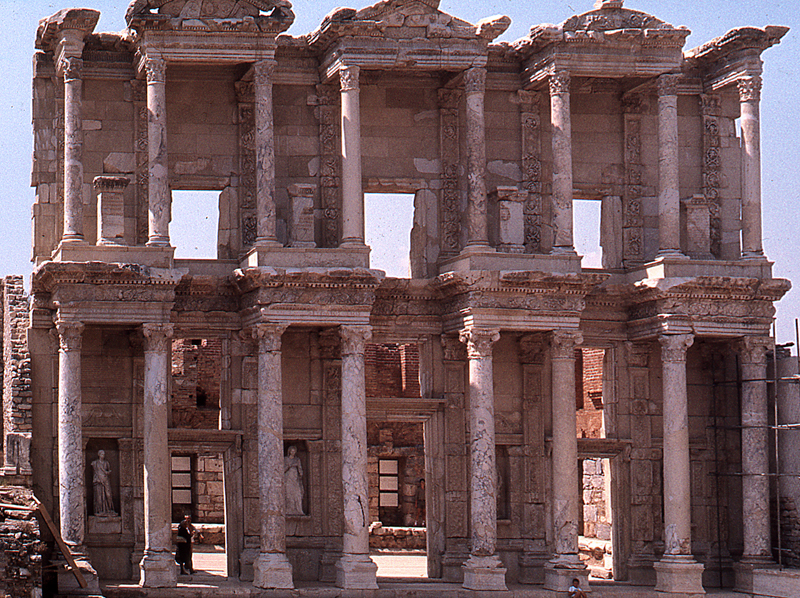 In particular, a wider-ranging research project is planned on interactions between literary and less-literary/non-literary spheres of activity (military, administrative, technical, legal, political, economic, religious and artistic) which will result in (among other things) a new cultural history of Nervan, Trajanic and Hadrianic times.